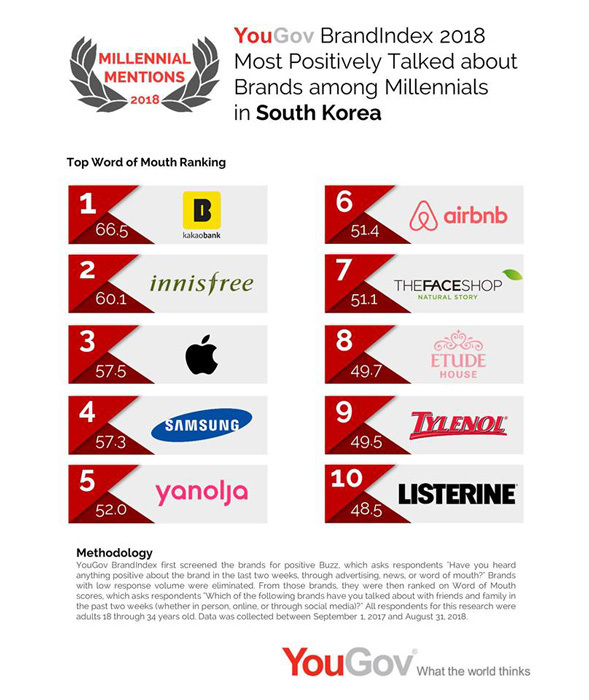 YouGov BrandIndex reveals the most positively talked about brands among millennials of 2018 in SouthKorea! Holds the top 5 spots in the country. Explore all brands which creates positive buzz among millennials and the list of top improvers on 2018 Millennial WOM: South Korea. Read More: Cara Mendapatkan Uang Dollar SG $25 dari YouGov [ID].